Love, Mrs. Mommy: Shark Rotator Powered Lift-Away Speed Giveaway! Shark Rotator Powered Lift-Away Speed Giveaway! Enter for your chance to win this amazing vacuum! Welcome to the Shark Rotator Powered Lift-Away Speed Giveaway, hosted by Thrifty Nifty Mommy and Viva Veltoro and sponsored by Shark. 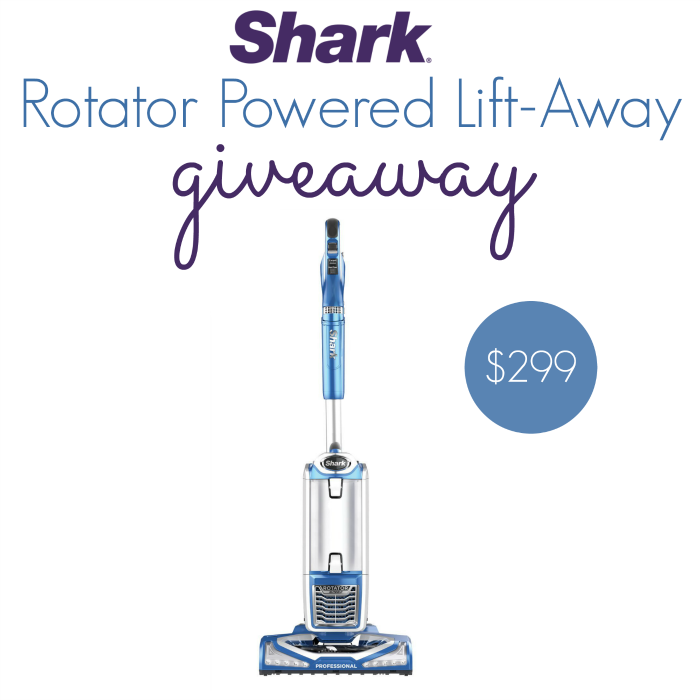 One lucky person is going to win a new Shark Rotator Powered Lift-Away Speed! Open to the Lower 48 US States, ages 18 and up. Ends 6/24/16 at 11:59 PM EST.